Design by Simon Pengelly for Arper 2006. A simple, almost intuitive, form. Babar exudes a playful, sophisticated air that belies its technical complexity and functional breadth. 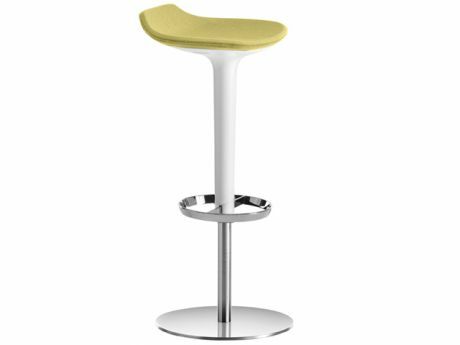 Height adjustable bar stool with seat in soft integral polyurethane with or without back rest in choice of six colours or upholstered in fabric, leather or vinyl. 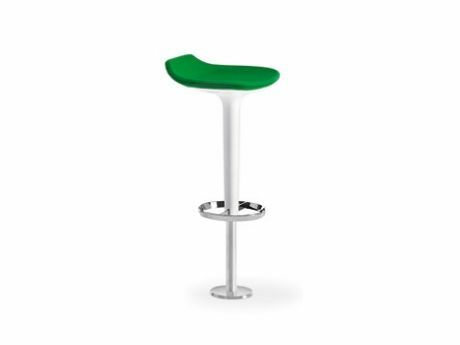 The ABS Stem is also available in six colours which can be mixed or matched with the seat. Base in chrome or brushed stainless steel with foot rest and swivel action. Floor fixed model comes with or without height adjustment with floor anchoring system. Polyurethane seat in white, grey, beige, red,mocha or black. Upholstery in wide selection of fabrics, leathers or vinyls. 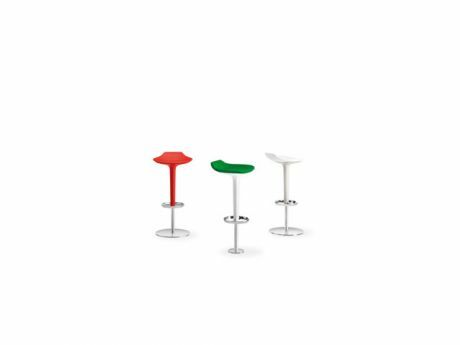 Base in chrome or brushed stainless stee.